Well hey, hey, HEY! my friends! How the heck are ya? 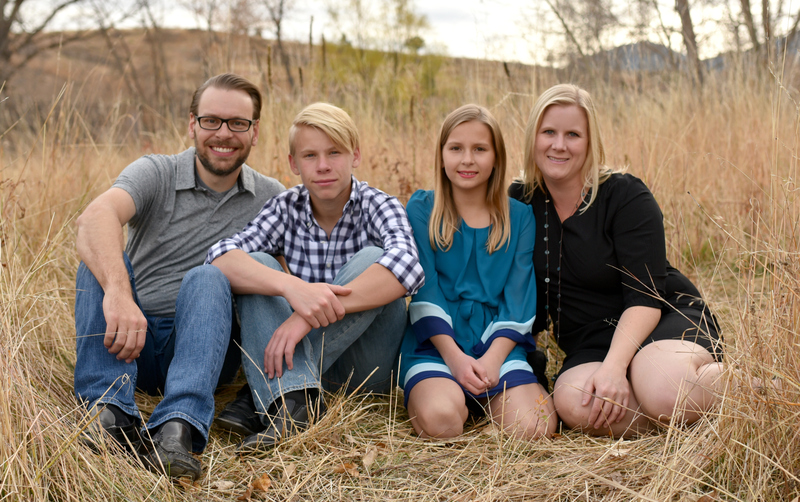 I hope you all had a fabulous weekend and Mother’s Day! Last weekend I worked on a little craft project for my daughter’s room. It’s a little quirky and random, so if it isn’t your thang, I totally understand. I like weird and quirky though so I’m pretty stoked about this conversation starter. I am seriously Goo-Goo Ga-Ga over Cardboard Taxidermy Heads right now. Like, I think they are just so cool I squeal whenever I see them. Several months ago I was at Urban Outfitters and just happend upon this totally amazeballz Cardboard Unicorn Head on clearance for $5 (down from around $30 if I recall correctly). They had 4 left and in true hoarder fashion I bought all of them. I ended up giving one to my sister and two to my friend, so I only actually ended up with one for myself. 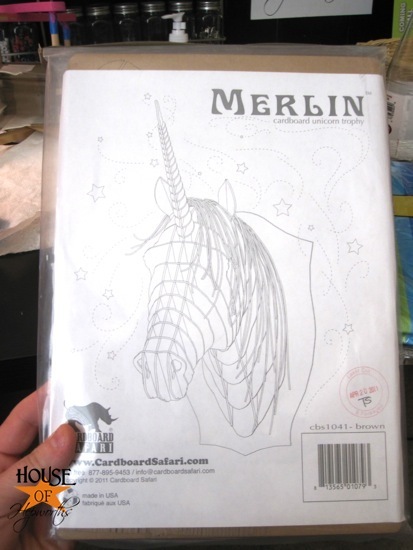 The Cardboard Unicorn is from a company called Cardboard Safari which sells TONS of the most amazing cardboard cutout figures. They don’t have the Unicorn on their site but you can buy it here on Amazon. 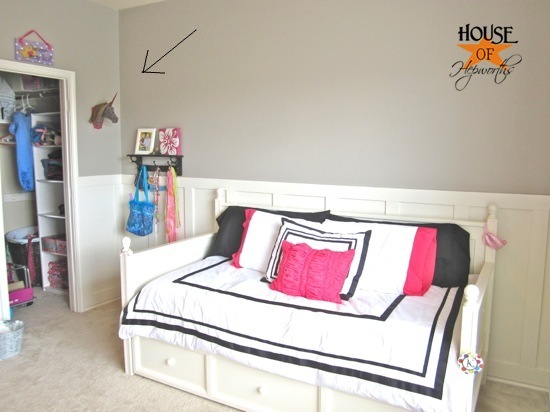 I LOVE the unicorn for my little girl’s room but it just seemed kinda blah. 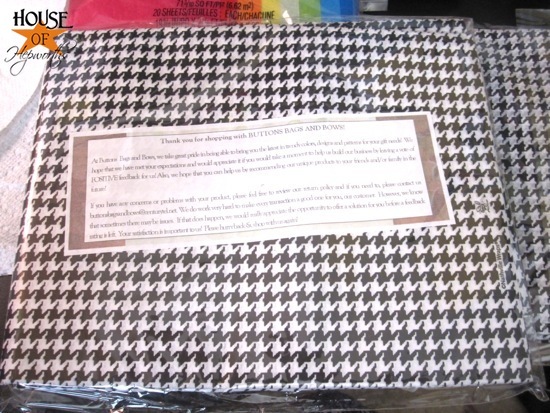 I decided that Houndstooth was the answer so I ordered a pack of Houndstooth tissue paper from Amazon. 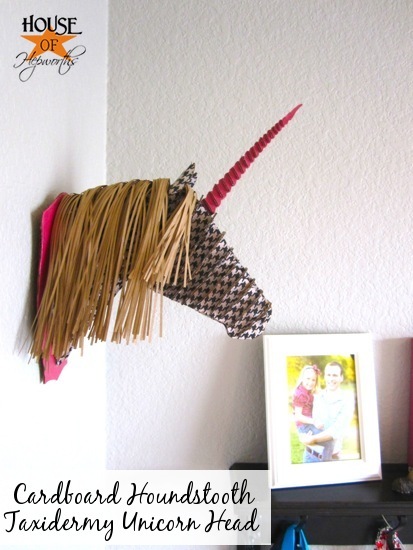 I took each piece of the cardboard unicorn and Mod Podged the Houndstooth tissue paper on either side. I started on one side and when it was dry I flipped it over and did the other side. 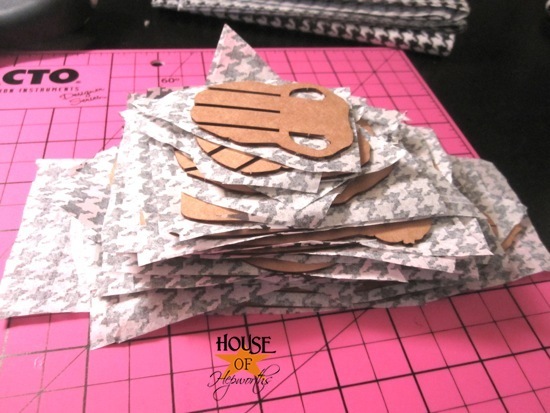 First I attached the cardboard with Mod Podge to the tissue paper, then using an exacto knife I carefully cut out around each cardboard cutout. 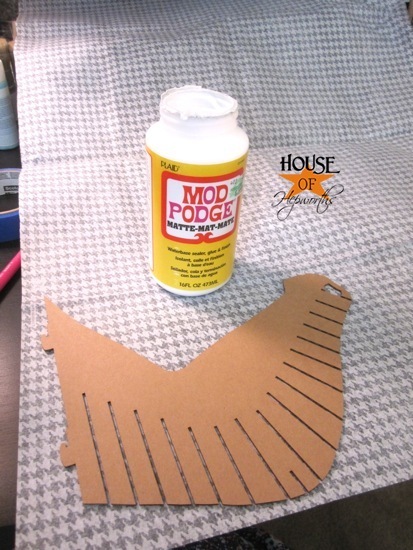 For the smaller pieces it was quicker to Mod Podge them all at once then go back and cut them all out. 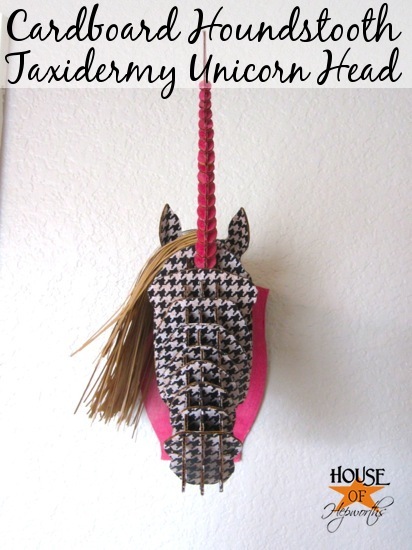 It was a little time consuming, but I really wanted my Unicorn to be Houndstooth! What I’ll do for my daughter, right?! Once the Houndstooth was all done I used pink tissue paper for the horn and the back plate mount just to give it some zing. When all the piece were dry I assembled it per the instructions. 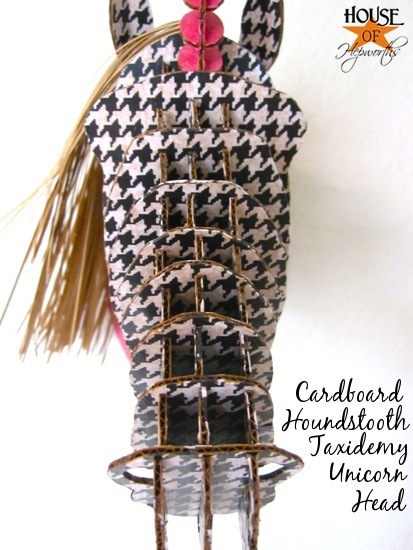 Now my daughter has a custom Cardboard Houndstooth Taxidermy Unicorn Head. 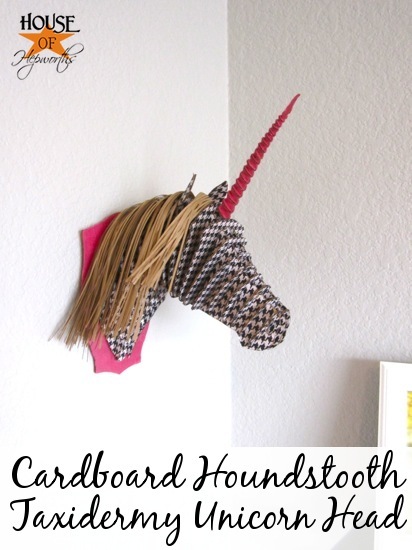 It’s such a fun statement piece in her room! 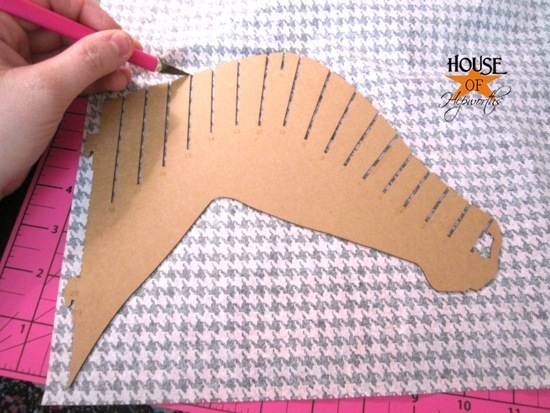 When I was gluing the Houndstooth tissue paper I made sure that each piece of tissue paper was glued on with the same grain so the Houndstooth pattern lined up once the Unicorn was assembled. It’s little details like this that really make a difference in the overall piece. 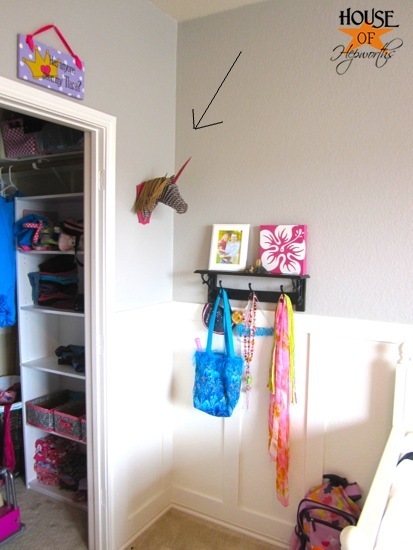 The Unicorn hangs next to her closet in a small space of wall. Super quirky and random. I just love little hints of weird here and there. It makes her room (and our home in general) feel more unique. So, are you a fan? Do you love these cardboard taxidermy heads that are all the rage right now? 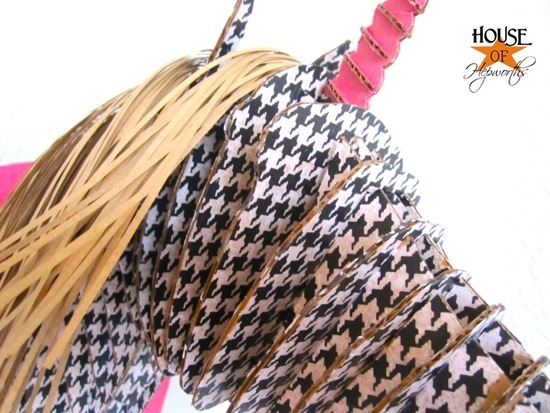 Do you like Houndstooth too? What is the most random accessory in your home? The unicorn turned out fantastic! Looks like a ton of cutting but was worth it in the end. I bet your daughter absolutely loves it! How cute is that! I love the combination with the required pink horn! LOL I think that is hilarious, I would never have the patience for it though. Quirky and fun! Really nice job. 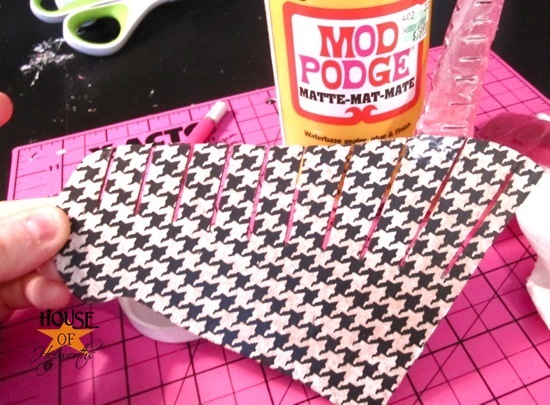 I never would have thought of houndstooth! holy Shazam, Batman….now you got me drooling and off to buy soemthing for the boys room! Have your friends ever told you you are an enabler: LOL :):) ??????????????? So cute! I love the houndstooth on it. Very creative, Allison! We need to all get together again soon! Omg, I totally bought the same time for the same price a couple of months ago too. Mine is sadly still in the packaging for now. But I do have a dear head I made from foam core board for Xmas. It’s completely glittered (white head, brown antlers, a faux bois look for the mounting board) and the best part is the light up nose (red of course!) During the non holiday time of year I keep Rudolph in my studio with the light off. I must say I love the hounds tooth effect, maybe it will finally get me to do something with mine! I liked the cardboard taxidermy, but with just the cardboard if it’s not on a spot with a lot of saturated color it gets lost. I love your version! So much more visually interesting. And Nikki Kelly, love the nose! Great DIY! Oooh what a fabulous idea!!! I would never have thought of that! All those little cardboard figures seem so much more appealing now! Love it. So lucky to find the cardboard safari on such a deal! BRILLIANT!!! I love, love, love this! Way to take it to the next level. Crazy? Yes, but so awesome! OH my goodness…I love this! It is absolutely too adorable! This is a fantastic project! Would you consider linking it up at my Pinworthy Projects Party? I hope to see you there!